The Chancellor of the University Muhammadiyah of Sumatra Utara, DR Agussani, MAP released as many as 16 students from several faculties to take part in a professional certified internship program in a number of companies belonging to State-Owned Enterprises. “This apprenticeship program attended by UMSU students is nothing but the result of follow-up signing of the UMSU Memorandum of Understanding with a number of BUMNs,” he said accompanied by Deputy Chancellor 3, Dr. Rudianto, MSi, Saturday (2/23). According to the Chancellor, sending UMSU students to take part in this profession-certified internship program is not the first time. Previously a number of UMSU students had also carried out professionally certified internships in several BUMNs. He explained, the opportunity given to UMSU students to take part in this profession-certified internship program must be carried out as well as possible. Through this activity, students can have more opportunities to prove the results of learning on campus while at the same time gaining experience and honing skills. Students of this profession certified internship are selected after going through the selection process. There are as many as 16 students selected for internships in a number of BUMNs including PT Timah, BRI and Bank Mandiri and Pelindo. It is planned that in the future, UMSU will also explore the apprenticeship program by establishing a joint meeting between ANTARA’s National Budget. The Chancellor was grateful that the UMSU students had the opportunity to be accepted to take part in a professional certificate internship program. He also hopes that students can maintain the good name of UMSU because the sustainability of this program is also inseparable from the ability of students. “I hope that students who take part in the internship program can carry out the trust given by truly carrying out the responsibilities given. Take care of your attitude and behavior because students of the apprentice are ambassadors who are expected to be able to maintain their personal and institutional reputation, “he said. This professional certified internship program is part of an effort to improve the quality of human resources in this case students to have more readiness after graduating from college and holding a bachelor’s degree. 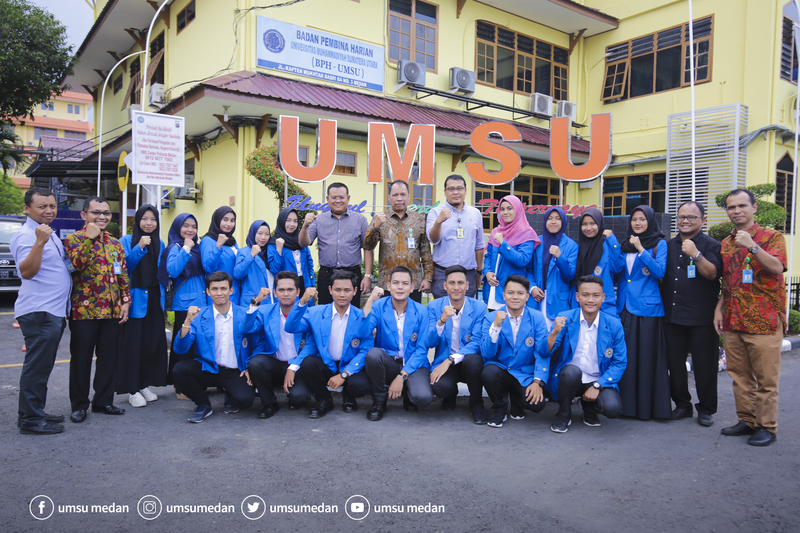 UMSU itself strives to improve the quality of learning, including through international KKN and overseas internships, namely to Japan. Previously, UMSU and a number of other universities signed a memorandum of understanding (MoU) with the Ministry of BUMN in the Multipurpose Hall of PT Angkasa Pura 2 in Kualanamu Branch, some time ago. The signing of the MoU was held on the sidelines of a meeting of “Mobility and People Analytics in Implementation Talent Session” which was attended by dozens of HR Directors of all BUMNs in Indonesia. The signing of the MoU was witnessed by Deputy of Business Infrastructure Ministry of BUMN Hambra and General Chair of the Human Capital Indonesia Forum (FHCI) Herdi Harman.